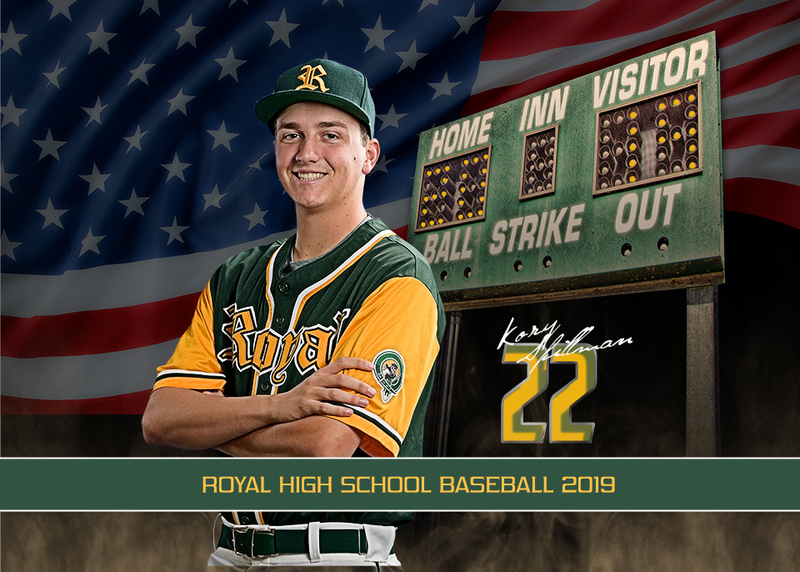 A big thank you to Royal and Moorpark High School for trusting us with their 2019 Senior Baseball Banners. 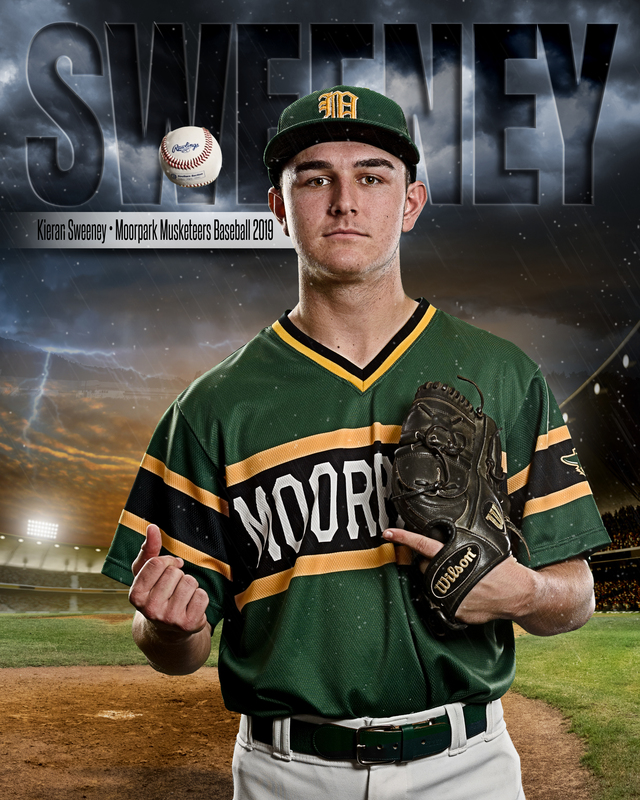 Senior banners for any sports team are plain ol’ cool. 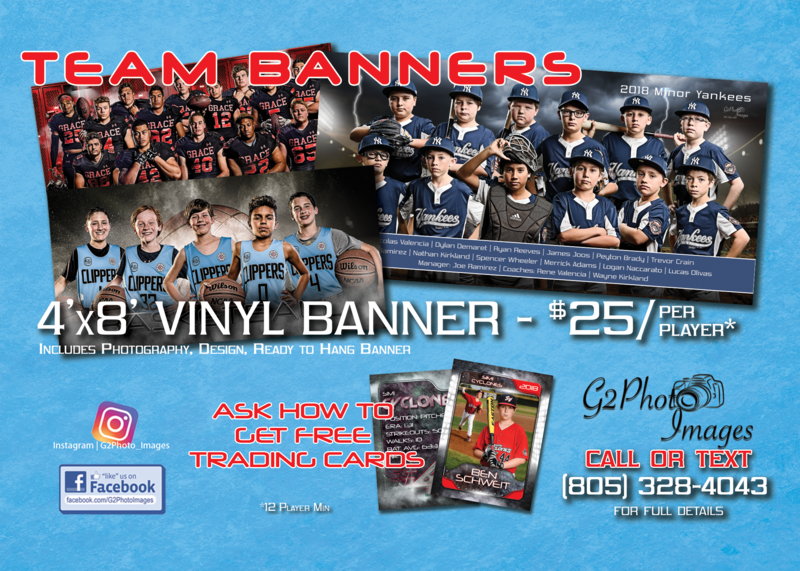 These banners are larger than life coming in at 2×6, 3×6, 2×3, or 4×5 feet in size and look amazing hanging on a gym wall or on a field fence. Imagine your players taking the field or court on reveal day when all their banners are hung on display. The kids love them, the parents love them, and the competition admires them. Banners of this sort seem to be a new thing for this area and we are the only local photographer providing them and we’re proud to be the first to market. There are others that are similar but none quite like we provide. These are edgy, big, powerful portraits of young athletes and it’s easy to get started! For just $25/player your team can obtain an 8 foot by 4 foot ready to hang team banner. 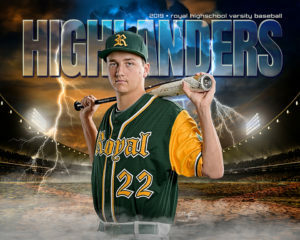 Adding senior banners and mounted prints for a year-end event is easy too. Just shoot us a text, give us a ring, or contact us via the form below and you’re on your way to having huge banners in as little as a week!